In case you haven’t heard, Google is making some big changes at YouTube. These changes are the direct result of one awful YouTuber, Logan Paul’s irresponsible actions. The young idiot guy has single handily hurt the livelihoods of more people than than anyone could ever have imagined. YouTube managements overaction was to take away partnership status of thousands of small channel creators. In addition to taking away their monitization privileges, YouTube has somewhat angrily also chosen to make YouTube as hostile an environment as possible for small channels. These channels, including my own won’t be allowed to supplement our new loss of income by utlizing the popular Patreon service, which allows creators to setup donation accounts that their followers can use to contribute to them with. Below: One lame attempt I tried when I heard the news my channel would be ending was adding the image below as my thumbnail to many of my most popular videos. My channel link just in case you do want to subscribe. 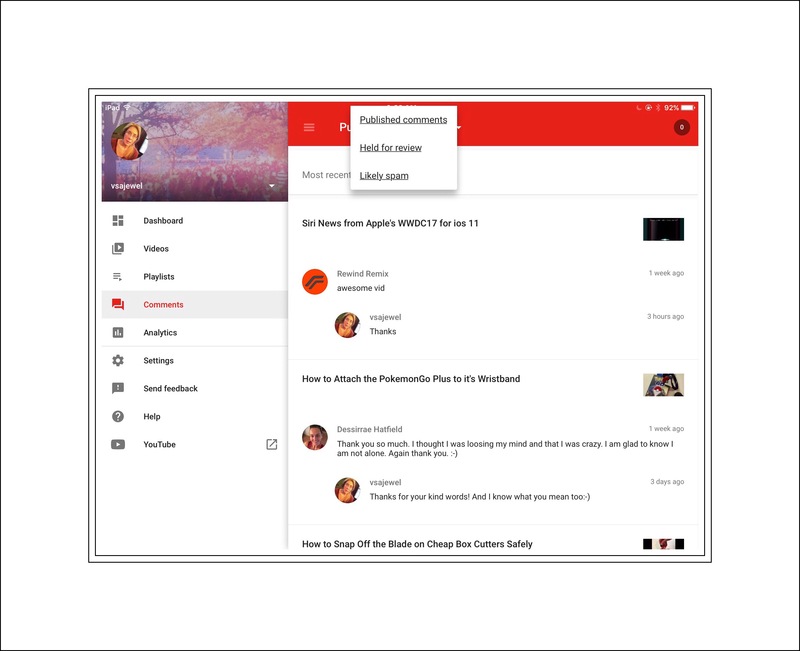 YouTube is also taking away our use of these creator tools, which help us tremendously in creating and managing everything related to our channels. The Creator Studio ios app is by far the easiest way to manage viewers comments. It’s the best way to add additional information to our videos…which appears immediately below them. And it’s the best way to change your video’s thumbnail image which is the one that appears everywhere in YouTube and represents the content of your video. Its unlclear why YouTube has chosen this course of action since their smaller channels have truly always been at the heart of what YouTube represents. To many of us YouTube’s action feel like the vindictive, hurtful actions of a toddler who strikes out against the easiest target within their reach. If you’d like to read other’s comments, or leave a comment yourself, please do so by scrolling way down this page…past my bio, past the WordPress ads, and past the Related Posts section…to the little Comment box.I use iPads for just about everything. Writing my blogs with the WordPress, Ulysses and Editorial apps, creating, editing, uploading and managing my YouTube channel with iMovie, Creator Studio and the YouTube apps, editing photos for my blog posts and videos with Snapseed and One Edit Pro apps, and keeping track of everything in my life with Evernote. Those are all the apps I couldn’t live without…or at least couldn’t work without…which are one and the same things for me. 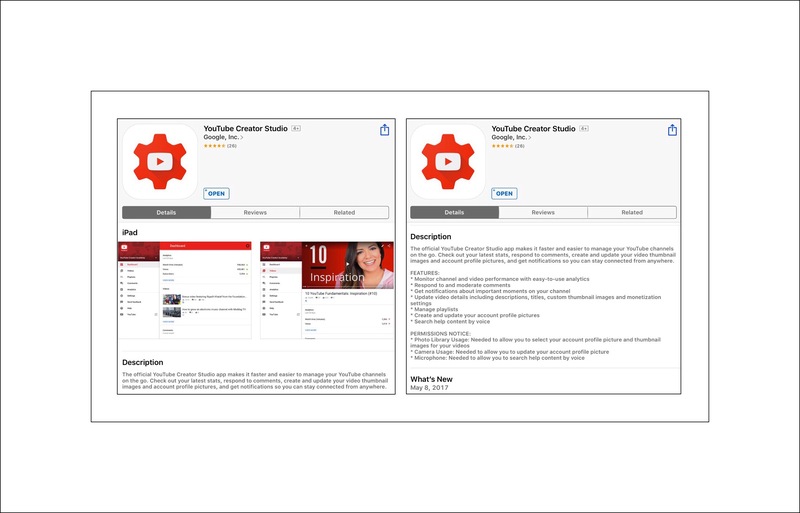 So when I discovered that YouTube had the ios app Creator Studio, at first I wasn’t sure if I’d find a use for it. But after just a few short weeks it became my preferred way of managing just about everything on my YouTube channel. 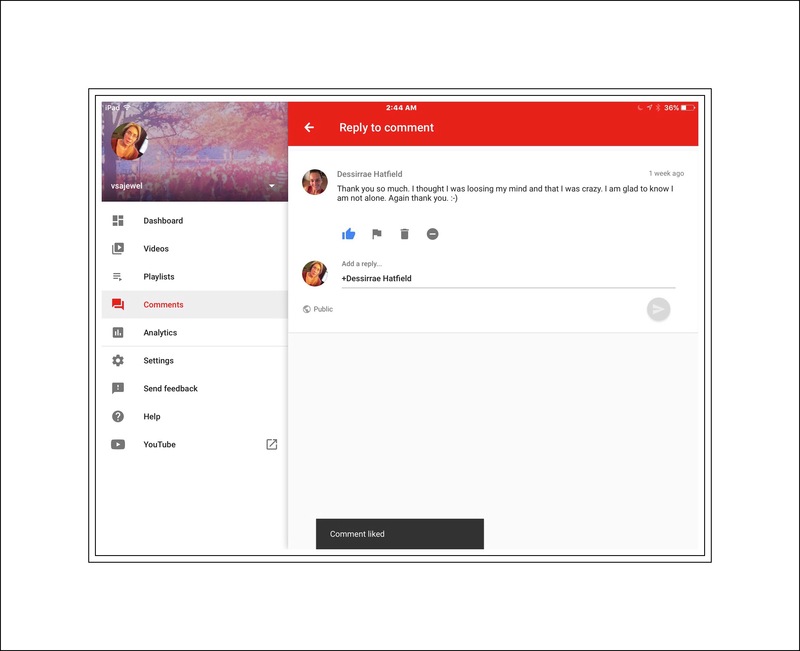 I cover most of how I manage viewers’ comments it’s Creator Studio in my post on How to Find Out Who Subscribes to Your YouTube Channel, which has ended up being one of my most popular posts of all time. But when I first wrote it, I was still managing comments using the Chrome app on my iPad (because you can’t do much with Safari and YouTube on an iPad.) 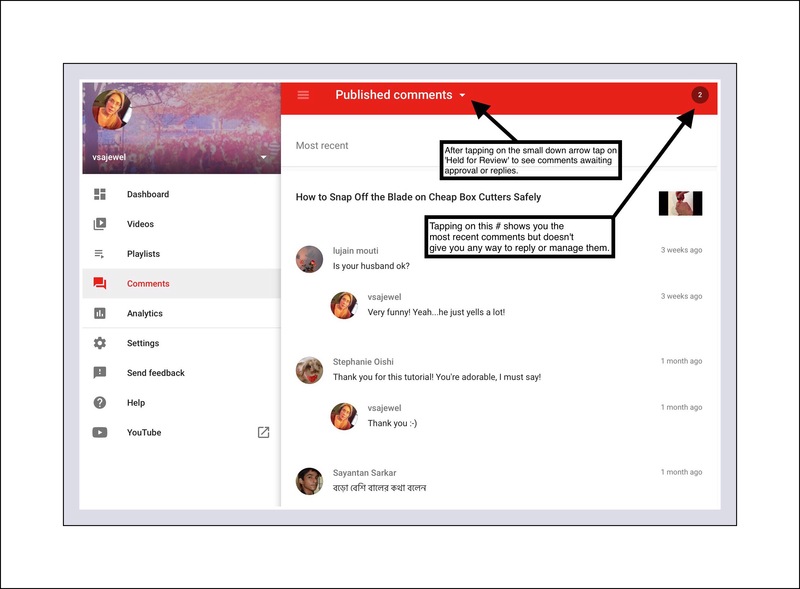 More recently I updated that post, and updated added a section about how to manage comments with Creator Studio. But there’s been one annoying problem I didn’t address because I didn’t know the answer too. Above: All of the videos on my YouTube channel. For a long time I wasn’t sure exactly what this number was for. When you tap on the number some comments may display…but not always. If they do, trying to find the actual comments to approve and reply to seems impossible. It took me some time to realize that I needed to manage comments using the menu on the left side of the app. Then even longer to realize that the small downward pointing arrow at the top of the Comments page on the right is the key to approving and replying to Comments. But even after I figured all that out…and spent some time approving and replying to viewers comments…that number wouldn’t disappear. It might go down…say from 5 to 2…but getting it to disappear seemed impossible. Knowing that was useful but didn’t solve my problem of how to make that number go away! Select the ‘Likely Spam’ category and then those comments will be displayed. If you determine that a comment isn’t spam, you can approve it first, and then reply to it. It’s really easy once you know the trick…but Creator Studio’s ios app doesn’t talk about any of this in their help section. 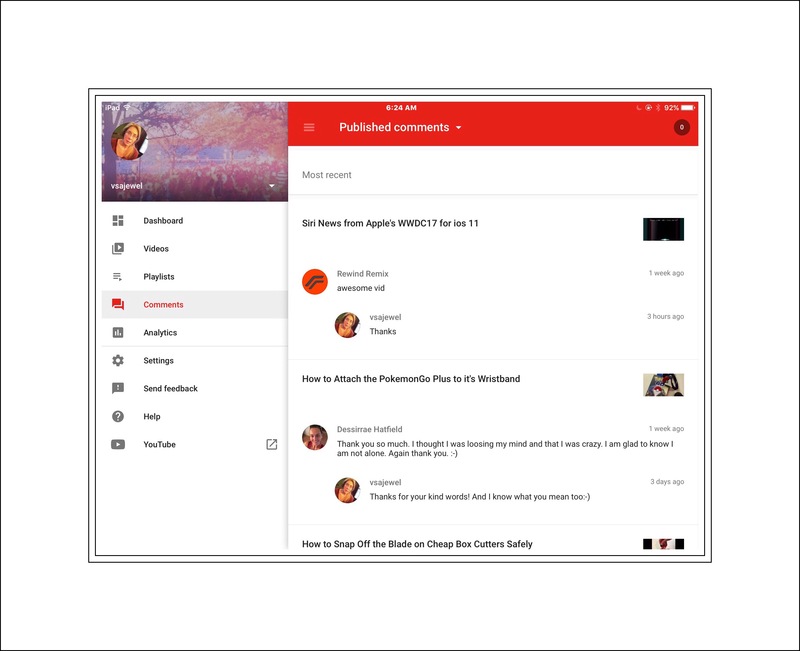 This entry was posted in Tech Tips, YouTube, YouTube Channel and tagged Approve YouTube Comments, Creator Studio ios app, manage Youtube comments, Number Appearing in Creator Studio ios app, YouTube Comments iPad. Bookmark the permalink.